Will PlayStation 5 bundle with the PSVR 2? Update: Sony chose to focus exclusively on software at its 2018 E3 briefing, leaving us none the wiser about the second iteration of PlayStation VR. It did, however, show off a new VR game by FromSoftware: Décariné, which casts the player as a spirit summoned by a young girl in a secluded Japanese boarding school. 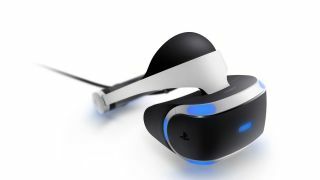 The game is still in an early stage of development and little is known about the gameplay, so it's possible that it could ultimately arrive on PlayStation VR 2. At 2 million units sold and counting, PlayStation VR may lead the pack in high-end headset sales, but Sony recently admitted that PSVR had fallen far short of its sales projections. With the PlayStation 5 reportedly a few years out from release, Sony is likely working on a successor to PlayStation VR that will take advantage of next-gen hardware to up its resolution, pixel quality and refresh rate. Sony did technically release a second PSVR headset late last year: the CUH-ZVR2 added HDR compatibility, integrated headphones and a smaller connective cord. But, the true PSVR 2.0 will feature a much greater jump in specs. The main question is, will the PlayStation VR 2 simply improve on its predecessor’s visuals, or will it add features like 6DoF tracking or even go wireless to compete with Oculus Rift and HTC Vive? We’ve got the latest rumors and industry insider info on what the PlayStation VR could look like, its likely release date, potential backwards compatibility and more. It’s almost certain that PSVR 2 will work exclusively with the PlayStation 5 (more on that below). And, based on the latest revelations from Sony, its newest PlayStation console probably won’t release until 2020. PlayStation head John Kodera said at a recent Corporate Strategy Meeting that the PS4’s sales cycle has begun to wind down, and that the PlayStation team would hunker down until early 2021 working on its next big project. We also know that Sony won’t announce any new hardware at E3 2018, which makes 2019 the absolute earliest we should expect anything. But, most analysts predict 2020 as the more likely date. Intriguingly, Marcus Sellars, a notorious leaker of gaming info, claimed that Sony has already shipped PS5 dev kits to third-party partners. These game devs may have already begun work on PS5’s exclusive launch titles. At the the same time, we haven’t heard anything about PSVR 2 dev kits being sent out. This could simply mean that Sony has kept the gear under tighter wraps, or that the new iteration isn’t ready yet. But, if Sony mostly allocates its manpower to PS5 production, then the PSVR could launch much later than the console’s release date—perhaps a year or more. PlayStation VR 1 launched three years after the PS4, after all. The current PlayStation VR starter bundle retails for $200 / £259 / AU$420, but this affordable cost came after two price drops in the past two years. The original price for a full bundle, $499 (£399, about AU$650), could give us a good idea of what Sony will charge for its next VR headset. Of course, this new headset will have some potentially expensive tech to go with the PS5’s increased potential. Japan Display (JDI), a LCD manufacturer co-run by Sony, recently unveiled its 3.2-inch, 1,001 pixels-per-inch (ppi) displays with 2160 x 2432 resolution. PSVR currently uses 386 ppi and 1920 x 1080 resolution for its one 5.7-inch screen. Adding better display quality, as well as doubling the screen count, could jump up the price. Currently, the only somewhat “next-gen” VR headset on the market is the HTC Vive Pro, which retails for $800, £800 or around AU$1,045. Depending on the PSVR 2’s hardware, Sony could choose to list it as a premium device. But, that would likely go against its brand of offering an affordable entry into VR. We’re hopeful Sony will avoid pricing all but the wealthiest among us out of VR. We also recently spotted a patent for upgraded motion-control wands with finger tracking and haptic feedback. Higher-cost bundles of PSVR 2 may very well include these controllers for VR experiences that a DualShock controller can’t provide. Why be a PlayStation 5 exclusive? PlayStation 4 owners (especially Pro owners) might be a bit peeved when they discover they can’t make PSVR 2 work on their consoles. But, it could be Sony’s only option to make its second headset feel truly next-gen.
We tested out PSVR on the PS4 and compared the graphical quality to the Pro. In “Pro Mode”, we spotted minor improvements in textures, graininess and lag reduction. Ultimately, though, the difference didn’t feel that momentous. While the PS4 Pro certainly packs a punch, it may not have the capacity to support VR with the higher resolution and pixel density that Sony’s new JDI displays enable. The PSVR 2 could demand processing power that last-gen consoles simply can’t match. Recent rumors suggest that the PlayStation 5 will use the newest AMD Ryzen CPU and updated Radeon graphics, an upgrade from the AMD Jaguar CPU of the PS4 and Pro. Sony could have trouble making its new headset compatible with two separate graphics systems. The most concrete info we have on the PS4’s updated design comes from JDI’s announcement of its 3.2-inch display with 1,001ppi and 2160 x 2432 resolution. JDI claims that this display will reduce latency to 2.2msec (compared to >18msec today), allow for 120Hz (same as the PSVR 1), and demand less processing power to achieve better image quality—potentially unlocking a lighter, smaller design for the headset. The upgraded AMD Ryzen chip that Sony is currently researching could certainly achieve the processing power necessary to support these displays. Sony, which uses JDI’s screens for its smartphones, will very likely rely on these upgraded displays for its new headset. Considering we already found the PSVR 1’s design comfortable for long playing periods, this could make its heir apparent even more enjoyable to use. Of course, if the PlayStation VR 2 does go with dual displays, this will make the graphical demand for the headset much more difficult to achieve. For example, if Sony wanted 4K VR, then the PS5 would need to be capable of 8K streaming. That’s a tall ask to support a device that the majority of PS5 owners likely won’t purchase. We do suspect that the PSVR 2 could go wireless, something that HTC has achieved with a new adapter peripheral. Considering Sony prioritized cutting down the size and weight of the cord that connects the headset to the console in its latest PSVR 1 upgrade, it’s clear the company sees it as disruptive, even annoying. Removing it entirely is the logical next step. By doing so, Sony will also make it easier to support room tracking for PSVR 2. Oculus and HTC have supported 6DoF tracking for experiences for a couple of years now, and it’s one of the primary areas in which PSVR falls short of its competition. The PlayStation Camera does track your head and controller movements as you play while seated, but can’t keep track if you move around, and our reviewers found that it frequently lost track of the controller even while motionless. Adding support for room tracking will only help Sony in increasing the size of its game library, as it will support more experiences that rely on wandering around a room. Of course, this could mean that the new PSVR 2 bundle will include a couple of room sensors to augment the Camera’s tracking. However, Sony could instead take the route that Lenovo did with the Mirage Solo headset, which adds WorldSense tracking tech inside of the headset itself. Reducing the number of peripherals could make the experience less onerous to set up. We also suspect that Sony has plans to double down on Move controllers. Its recent patent shows that it wants to compete with the Oculus Touch and Vive controller by adding improved tracking functionality to its Move wands. Sony’s most promising idea is its “reaction force generator”, which would have portions of the Move wand expand or contract based on whatever the user is currently “holding” in-game. This tech could make experiences feel more immersive than before, without having to give up on controllers entirely (see: Oculus’ haptic gloves). PlayStation VR has received a ton of support from Sony since its 2016 release. It currently has 150 games available, and Sony promised to release another 130 games by the end of 2018. Most of these releases will likely come from third parties rather than Sony studios, but, nevertheless, that’s a lot of content for a console that could get replaced in a couple of years at the earliest. That’s why it’s not surprising that Sony patented a plan for backwards compatibility that would make PS4 games playable on the PS5, which would put them on level with Microsoft’s successful backwards compatibility program for the Xbox One. We suspect that Sony will find a way to make its first-gen VR experiences available on the second-gen device, so that new buyers will have a huge library of games to choose from straight out of the gate. PSVR 2: Just what the VR industry needs? As we've mentioned, PlayStation VR hasn't met Sony's sales expectations. Two million is nothing to sneeze at compared to the high-end VR headset competition, but Sony had expected the entire VR market to grow. Instead, Sony likely worries that VR will stay too niche to make the profits the company once hoped for. Kodera said Sony would have a more “realistic outlook” on what kind of future sales it can expect. Kodera’s statement implies that Sony remains committed to producing more VR devices. Unfortunately, the tepid VR market could mean Sony invests less time and money into future VR experiences. But, ideally, the PlayStation VR 2, Oculus Rift 2, and other next-gen headsets with better specs and fewer cords could revitalize the market and keep Sony fully on board with VR.